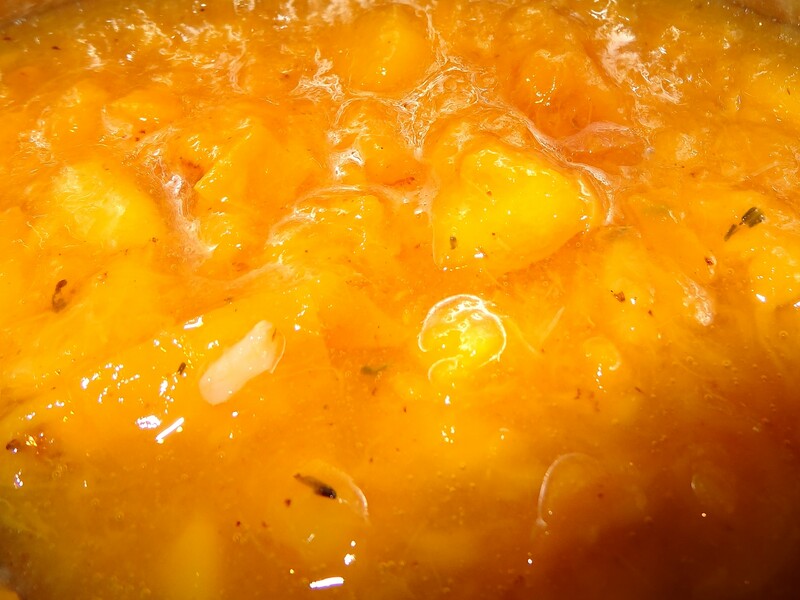 Peachy Goodness – Yours Julie – Mostly travel, also food. Today, I experimented a little and it turned out very well, so I will gladly share it with you. I had received a bunch of very soft peaches earlier. They were a little brown already, so I had to do something about them fast. 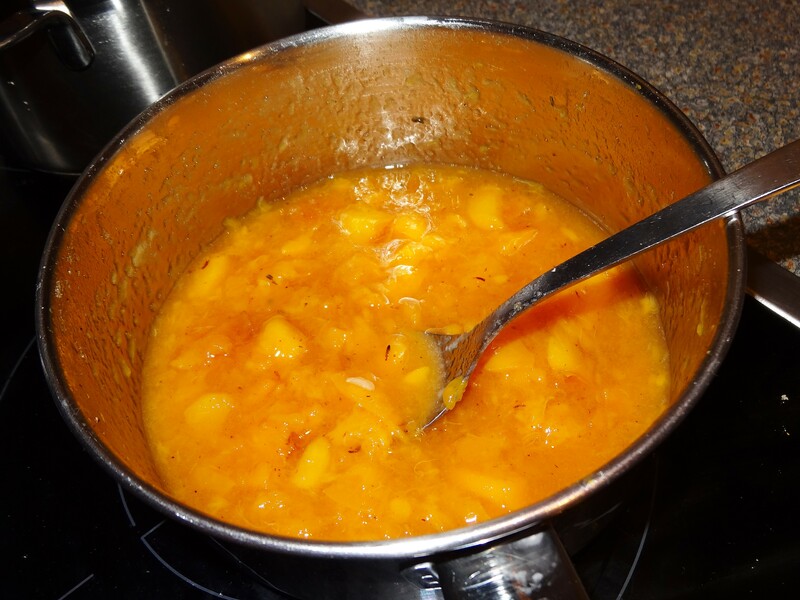 Add the honey with a little water to a medium sized pot and bring to a boil. 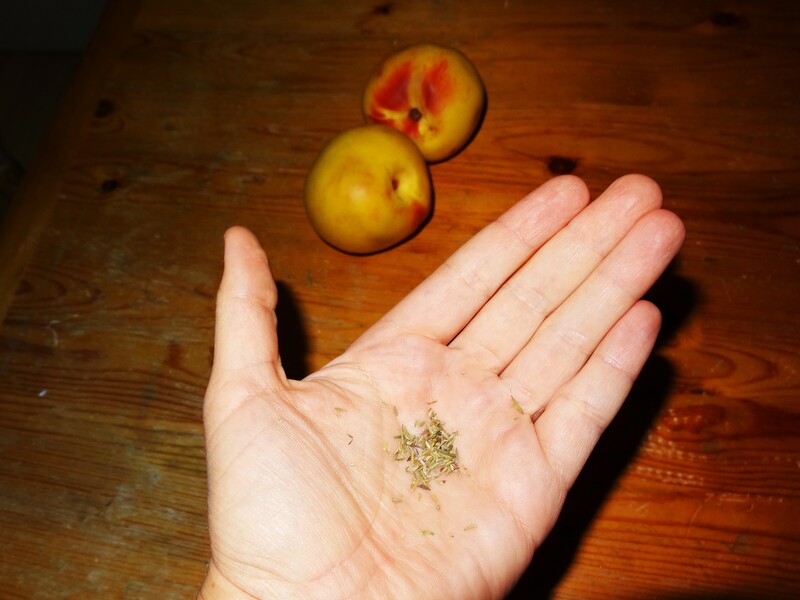 Cut the peaches and add them, too, then add about equal dashes of whit wine and lemon juice and thyme. Heat until the peaches are soft. You can puree it or leave it chunky. Fill into jars or eat right away. Voila, done. I plan to eat this delicious gooey fruit warm over vanilla ice cream, but you do you.